Putting selisia under the lapel canvas give the lapel a bit of "body", thats why i ncluded it in the jacket project. Just baste it to the canvas and it is held by the lapel pad stitching. I'm surpised that it was standard practice especially given the heavier weights of wool that were common then. I think it would be very useful for the lightweight fabrics that many people seem to like now. It was not standard for all lapels, But standard for some types of lapels, and for others you certainly wouldn't include it. When looking at lapels for the last 20-30 years lapels are so boringly the same. There used to be lots of styles that don't exist anymore. It seems like on the internet SR has one basic style of lapel and everybody else is copying it. And the rtw, which m2m follows, hasn't changed for decades. There is no creativity, but brain dead boring, anymore. When there were lots of tailors showing what they are proud of and making what the customer dreams of wearing, life is so much more interesting. It is so sad to see so many people who think that what a tailor makes is what the customer has to have, so if they see one lapel and they don't like it, then they think they have to go somewhere else, to me that is not tailoring, but a farce. Some people actually think that the bigger the manufacturing company is the more options you have and that the true tailors can't do much of anything, which is totally reverse of what people used to think. All basically the same lapels- that is like inbreeding, which is a mistalke. 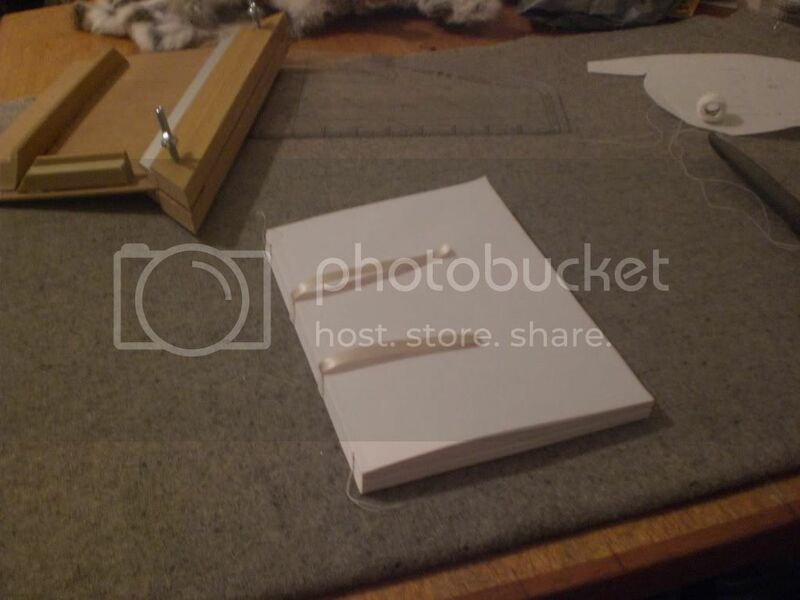 Tailoring is a blank open book where the customer gets to write the story. After much labor, I am pleased to present The Cutter & Tailor with my original remake of JE Liberty's Practical Tailoring. Formatted for common 8.5" x 11" b/w paper printers w/ half-inch margins on all sides, this is a complete digital reproduction of the book. All drawn diagrams are now in vector format. The table of contents is hyperlinked to skip to the referenced section. All pages in the index have been updated. Typos and inconsistancies found in the original text from 1933 have been corrected. Note: Since much of the text was needed to be re-typed manually, expect to see some contextual typos here and there. The second half of the book was OCR'ed once I figured out how I could semi-accurately get the original pages that were scanned in to read. If you could, please report back to me with all errors that people find. Even though I've done two proof-reads on this, there are bound to be typos leftover. Once again, Theatrical Tailor, thank you so much for your original scan of this book! Edited by J. Kelner, 29 November 2010 - 12:24 PM. I can see you put a lot of work into that one. The text looks all cleaned up and like it was fresh off the printing press. You did a very professional looking job on that. JK: That is incredible! Much better quality than the original - well done. I have no idea how to do that, so thank you. After much labor, I am pleased to present The Cutter & Tailor with my original remake of JE Liberty's Practical Tailoring. I've looked at a few pages, and it's great. Edited by tailleuse, 02 December 2010 - 02:21 PM. It's "Silesia." I'm including this small note so this reply will be picked up in a search. Kudos to all the above (Theatrical Tailor especially) on their work. This is a great find for someone like me who's got no real Tailoring background, just home sewing—and even that mostly figured out as I went. The latter is, in actual garments, slightly shaped, drawn in and shrunk away, but for practical purposes, the cloth as mentioned is suitable and should bring no complications. Two strips of cloth about 3½ inches wide and 18 inches long, silesia and linen, will be required. Mark a line about 1½ inch from the edge down the long side and threadmark it through both pieces. "Silesia and Linen". "Both pieces." Taken literally, I read "latter" to mean the Linen piece. Thus: "The Linen, in actual garments, is slightly shaped, drawn and shrunk away, [etc]. [But for practice, you don't need to.]" But I didn't know that the Silesia and Linen weren't needed in the actual garment (other than the linen strip now folded over and hidden by the wool). The strips mentioned are only needed to pretend you got have a wool pleat on the board. If it weren't for Whife's diagrams, I wouldn't have been able to extrapolate that and put it into context in Liberty. I was also very confused why Whife didn't show the Silesia and Linen. If you'll also notice, I wrote "practical" rather than "practice". Typos don't help. Bartack, bar-tack, bar tack... What the hell ? In many cases within the book, he (or possibly the editor) interchangeably would turn a word into a compound word, or hyphen, or separate all together. There needs to be standardization of how the word is written. Apparently it was common to mince spellings 80 years ago. in all this time you have taken to sort out these books, how much actual sewing have you done? Part of teaching myself how to do this, I need to have proper books, not 72 dpi renditions that I can't easily reference. Nishijin was correct. I felt that it was time best served to make my learning tool better. I could've been selfish and just kept the PDF to myself, but I figured I'd share it. So I made sure I spent as much time as I felt necessary to perfect it to the best of my ability. 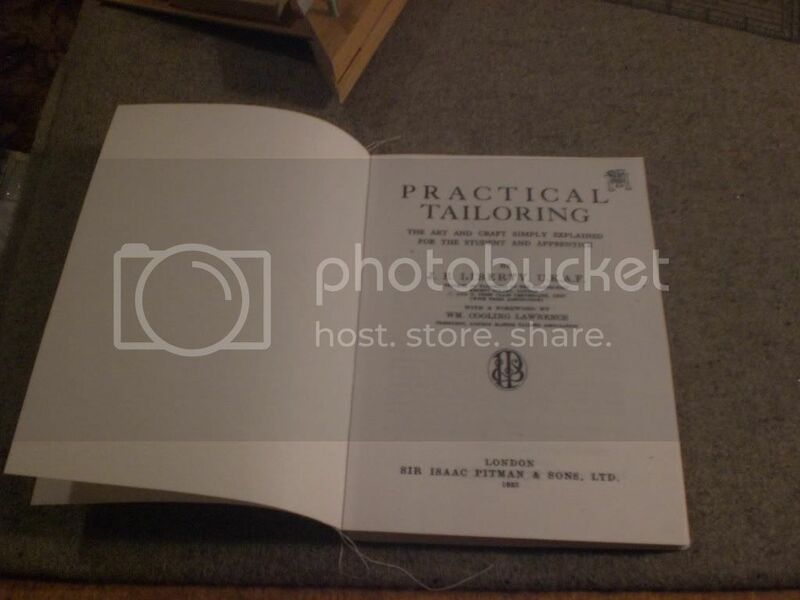 Many thanks for your scans of Liberty's Practical Tailoring, and for mentioning the size of the original book. Before J.Kelner's 'opus' hit our screens, I began work on my own version. I had hoped it would be finished by christmas, but find that I need better card for the backboards than I hve available at the moment. However I have decided to post photos of work in progress as a small gift of thanks for a great book I can now read away from the computer. I just wanted to say thank you to Kerry and J. Kelner for their wonderful work on this book and uploading it for anyone to use. I am new to tailoring/bespoke in the actual making up but have always loved and admired a beautifully made suit. I'm just beginning my own independent learning of this amazing craft and not in any hurry. I have been a member of this forum for several years but haven't been able to spend any amount of time learning this craft but would occasionally read posts when time permitted. Due to a life situation I am able to devote as much or as little time that I desire which will certainly help in becoming a tailor (or a maybe just hobbyist, we'll see how it goes). Therefore, when searching for the beginner apprentice books as recommended by this forum, I've notice that they are becoming more cost prohibitive. But because of those of you who are passionate about this craft and are willing to make available texts for us new beginners I am most appreciative. Thanks again to all who have invested so much of your personal time to help those who are starting out.